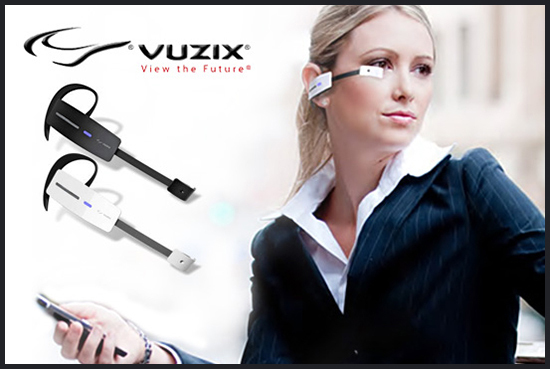 A new and exciting wireless headset display brought to you by Vuzix. The Smart Glasses M100 is due for release in the summer of 2013. The headset projects a colour display to the user’s field of vision, showing data generated by a smartphone. It also features a noise-canceling microphone, an ear speaker and a HD camera. The device is designed to work indoors and outdoors, perfect for professionals who are constantly on the move (and have a burning desire to look cool). The image is described to be similar to holding a smartphone screen 14 inches away from the eye. 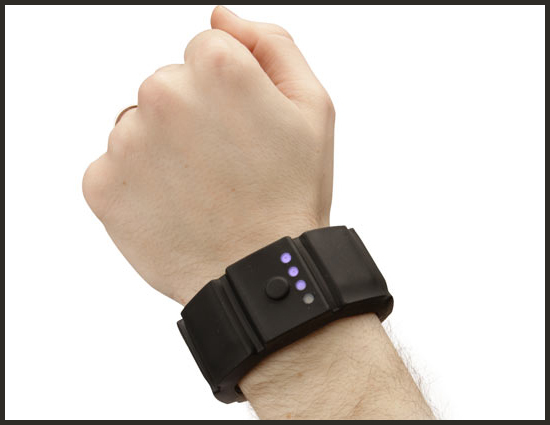 The TsirTech Universal Wrist Band charger features a built-in battery for I-pod Touch, I-pad, I-pad 2, IPhone 4/ 4SMP3/ PSP, NDS, Samsung, Nokia, LG and HTC. The gadget has a polymer and wristwatch design with a no load and a time off function to save energy, its alarm will also remind you when it needs to be charged. This new gadget is an absolute dream for those who work on the move and need their phone at all times, no more worries about missing an important call with a client or being literally cut-off in mid sentence at the expense of a low battery. In this new digital age, we literally cannot survive without our laptops and gadgets, at work or on the move. If you have a habit of spilling coffee at your desk and you prefer touch rather than type, then this is for YOU! 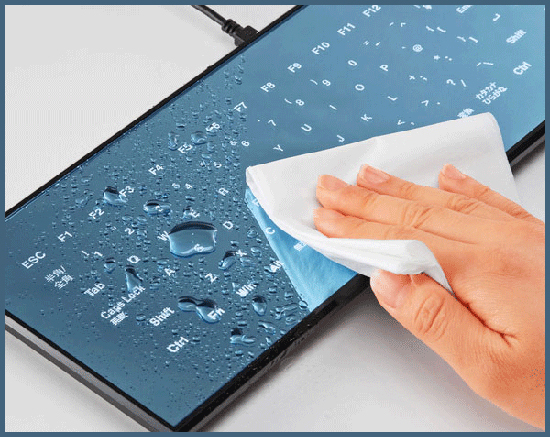 This new washable touch keyboard from Logitech can actually be drowned in water for a good clean. No more worries about damaging your tools. 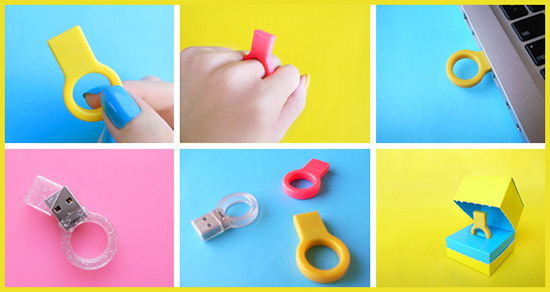 USB sticks are a flash way to keep your data storage close to hand, they have never been quite as close as this however. A new age memory stick and fashion accessory combined for 2013. You will never lose your important data, providing of course you actually wear the Memoring. LIFX has got to be the most intelligent light bulb we have ever witnessed. 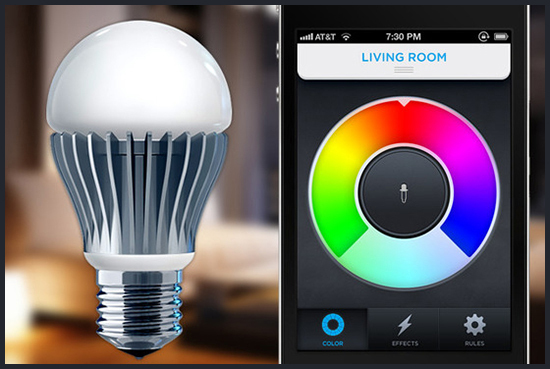 It’s a wifi-enabled, energy efficient, multi-coloured bulb that you can control with your iPhone or Android. LIFX gives you complete control of your lights, lasts up to 25 years, reduces your energy costs and delivers an amazing range of experiences. This new gadget could certainly be a cool addition to any office, providing the perfect lighting environment of your choice.